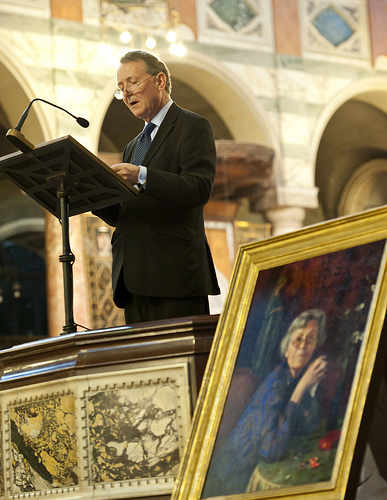 Remarks by David Alton at the Memorial Service for Phyllis Bowman DSG, founder of Right To Life, held at Westminster Cathedral on July 3rd 2012, followed by the Homily of the Most Revd.Vincent Nichols, Archbishop of Westminster. We’re all going to really miss those short sharp messages: “It’s Phyllis; it’s urgent; ring when you can.” It was always urgent and it always elicited a response as soon as I could. That her memorial service should be held on the very day on which Lord Falconer has published a Bill to legalise assisted dying – the euphemism for euthanasia – leads me to suspect that even now, our friend in high places is telling us its urgent and wanting to know what we’re going to do about it. And if we’re willing to return her call what might she expect us to be doing? She would certainly be telling us to fight a Bill which would require doctors to kill patients; which will make disabled people believe they would be better off dead; which will compromise patient safety; and which will allow politicians to use the new law as a pretext to withdraw resources from the care of the sick. Far from providing dignity in dying these proposals will sound the death knell for Britain’s outstanding hospice movement and palliative care. 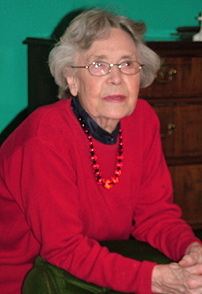 But Phyllis would also expect us to be speaking up for the unborn child and challenging attitudes and laws that lead to the killing of 600 unborn babies each day; that permits eugenic abortions up to and even during birth where a child is disabled; and she would want us to highlight the evidence of the physical or psychological effects of abortion on women. She would surely be urging us to see the undeniable and intrinsic connection between human rights, human dignity and the sanctity of human life itself. On the very day Phyllis died, reports emerged from South Korea that customs officials had discovered thousands of pills filled with powdered human baby flesh. Phyllis would want to know what we are doing to challenge this degraded and disgusting culture of death – as Pope John Paul described it. When rights are exercised in a vacuum it is catastrophic for the weak and vulnerable. Globally, abortion has become the most lethal weapon of mass destruction. Unborn children are hunted down and eliminated in their millions — often, in poorer countries, under pressure from western nations. As the story of China’s Chen Guang Chen illustrates – the blind human rights activist jailed for 4 years for exposing the forced abortion of 130,000 women in Shandong province – this can also involve the mass violation and abuse of women as well as the killing of their children on an industrial scale. This remarkable blind man has opened the eyes of the world to the enormity of what it is that we permit both in our own nations and export or aid and abet in others. With the elimination of up to 200 million baby girls, the three most deadly words in the world have become “it’s a girl”. Phyllis Bowman would want to know what urgent action we are taking to challenge the British Government’s support for population control agencies and policies. And Phyllis would also be urging us to challenge the experiments which have destroyed more than 2 million human embryos and led to laws which permit the creation of animal human hybrids. – And she would be insisting that good ethics and good science must march hand in hand. Above all Phyllis hated the cover up and the manipulation of debate. She would be urging us to challenge political correctness and that other PC – political cowardice and she would want us to challenge the powerful vested interests in the reproductive rights lobby and pharmaceutical industry which have dominated the debate. For Phyllis Bowman there was always one more battle to be fought; one more life to save; one more mind to change; one more letter to send; one more volunteer to encourage; one more campaign to plan. The destruction of innocent life stirred her conscience and it should stir ours. The divisions which have dissipated the work of the pro life movement broke her heart. readiness to challenge those around him. with him. Jesus then says to them, “You know the way to where I am going”. of life, not of death. on her life from her close friends and colleagues at the end of this Mass. legal protection of human life from the moment of conception until natural death. sustained by the help and support she received from her husband Jerry. organisations represented at this Mass today were built. reasons which led Phyllis to become a member of the Catholic Church. needs to be a shared vision and a unity of purpose. embraced to enable it to be organised effectively. individuals, as organisations and in partnership with one another. sanctity of human life as an ordered service to our society.